Good Plumber or Bad Plumber? You Decide! 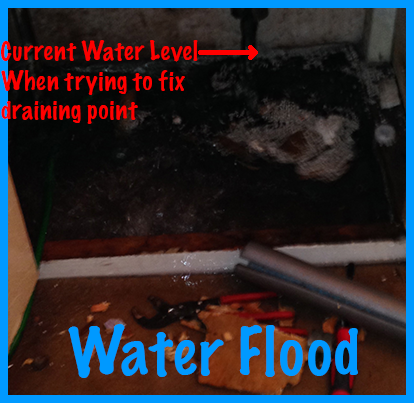 Before we give you the report of Good Plumber or Bad Plumber, it is quite often that the plumber is under estimated by the occupant due to lack of knowledge but just below is a real life complaint of what us emergency plumbers find on a year to year basis. There are also plumbers out there that let the good faith of the general plumbing companies get a bad name, and again a bad job can be a very bad job where another bad job could be done by the best of plumbers. This can be regarded by occupants that there view, it is also a bad job. The only way to clear a good plumbers name is to explain in there own opinion to keep the good faith of a decent plumber in order so that the decent plumber can turn out to be the heroes of the day. Just below is the complaint and with your thoughts please tweet to www.twitter.com/plumber24hours. The complaint below is not meant in anger from the plumber but is for educational reasons only. Customer – Martin you came last evening after an emergency call from myself re burst pipe. Sorry to say you did not seem to have any idea of what you were doing causing more havoc, just complaining of cold hands which and as a novice goes with the territory of your job. We got another plumber in and had it repaired 30 mins after you left. He was amazed at the mess you made and that you cut a pipe which shouldn’t have. along with this plumber came to man from United Utilities who was shocked and reckoned you were just playing for time to up the bill. cost me hundreds of pounds, was turned off in less than 5 mins !!!! should go back to re-learn. Martin Smith – Do I have your permission to put this complaint and any further complaints on my web site. I will continue the reply once I have your permission. Customer – Yes you have my permission. Await your earliest reply. Ruth Berman. 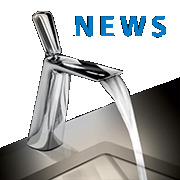 Martin Smith – On the 30th December I was called out to your property to fix a water leak that was leaking at the estimated rate of 1-litre of water every 30-minutes. The pipework was coming in on what I think was 28mm copper with a draining point before the mains water stopcock of the bottom flat. The only way in Martin’s opinion to stop the leak was to turn the main water stopcock off from outside in order to make repair to draining point. When entering the outside mains water stopcock, Martin Smith found that the access point was full of soil which had to be cleared out. At this point due to health and safety, it is in the domestic plumbers rights and all good plumbers that they can refuse to put his hands down there as this is a job for someone with a cupping tool which is what united utilities carry, however Martin Smith did use his mains water stop-tap key to clear some soil and put his key down to the mains water stop-valve and try to turn. By trying to turn off the stop-valve, the stop valve was seized open and was not within the recommended tolerance to turn off. In trying to turn off, Martin Smith had injured his shoulder due to trying too hard. This resulted in Martin not being able to turn off the mains water stopcock and does not make him a bad plumber. The bad news was given to the occupant to say that there was no way that Martin could fix the leak without turning the outside tap off. Martin explained that in digging out the stop-valve outside may make it easier to turn the valve off but with no guarantee and may be a very timely job, which Martin was in no favour to do. The electrician present who maintained the flats mentioned to say “What if you just do a repair live?”. 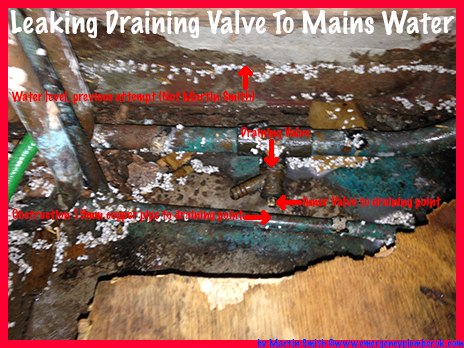 Martin Smith explained that repairing the draining valve live was a recipe for disaster, however it is possible that it can be done. The occupant told the plumber to do the repair live. Martin Smith then said, “If I do this live, I will have to get a signature that mentions that any major flooding will not be my responsibility”. Just below is exactly how it was written. It was firstly signed to say the customer was happy with the work done accidentally and then it was signed in the correct place to say the customer had read this fully and understands. Martin Smith who regards himself as a good plumber was not happy in doing the job however attempting this to please the customers wishes. When the inner valve was taken out to replace the washer, the water was coming out at an extremely fast rate of cold water. When trying to place the valve back with the washer, Martin’s hands went all numb within 5-second to a point where Martin could not feel the valve and was unable to get the valve in. The second attempt was to cut the 15mm pipe that was in it’s way and attempt to put the valve back in to fix the leak which is what most good plumbers would off done to make ease of access easier. Firstly the mains water stopcock to the valve had to be turned off. On the second attempt, Martin Smith tried putting in the valve again of which the pressure of the water had pushed the valve out of his hand which the plumber had thought he had lost. At this point the thought’s on Martin Smith’s mind was, this is too late and there was going to be a major flood. Martin had asked the customer to call the water board (United Utilities) in an emergency to turn the mains water stopcock off in order to make further repair but mainly to stop the major flooding. The electrician had pulled the plywood back to find the inner valve but was unable to do so. Once the plumbers hand had got a little feeling back in it, Martin then attempted to find the valve and with luck the inner valve was found. The washer was taken off to make it easier to put the valve back into the draining point. Martin managed to get the valve back in with great difficulty, and the leak was back to a slow leak and what could off been a major flood wasn’t any more. With great relief, Martin explained to the customer that the water was no longer coming out at an extreme rate but explained that his hand were numb and in a lot of pain due to fixing the problem against plumbing standard practice. The reason the job was not carried out to professional plumbing standards is due to the fact the man hole was not cleared, and the customer wanting the leak to be fixed whatever the cost to the damage at her property. The occupants expression was very unhappy. Martin Smith asked the customer was everything ok and what her honest thoughts were. The occupant mention to Martin the emergency plumber, “I am not happy with your moaning about your hands as this comes with the job and as for saying about how you are one of the best at your job, your blowing on your own trumpet and I could of got another plumber to fix it which they would of done”. There was no slight sympathy at all, which Martin was not looking for. In Martin’s opinion, the work was not dragged out as the minimum cost of the hour was charged and no more. You mentioned in your complaint that Martin Smith has no Idea, however Martin a good plumber and not a bad plumber, has every idea with 19-years of experience and regarded nationally by many emergency plumbers as a first class plumber and one of the best. As to your other plumber, Martin is not saying he would not be-able to turn the outside valve off, however Martin would like proof of receipt and contact details of the other company as proof of this. I would also like a statement from the United Utilities to back up your claim. As to any other disrespectful quotes, Martin believe you are saying this in anger of, which you have a lack of understanding and believes Martin deserves an apology for the effort that was taken. The customer then paid Martin Smith the minimum amount of 1-hour. The request for any money to be returned for a refund does not meet any fair trades and therefore the occupant does not qualify for a refund. If there is anything missing in this report then please let us know but we will be looking forward to any reply. I would also like to advise you to ensure your access point to the outside stop valve is free from obstacles at all times and the tolerance of the valve is able to be turned off in compliance with BS standards. This will ensure that all good plumbers are able to work on your property at a professional standard. This is the reason why Martin Smith was unable to carry out any complete work. Martin Smith. Customer – As I said before, a good plumber is not afraid of getting his hands wet cold or not – ask your next client to make sure the water is hot. Funny how the the decent plumber managed to repair the fault. On that note I certainly would not recommend you to anyone. Martin Smith – Martin Smith has already answered and given his reason to your reply and therefor, there is no further complaint that can be resolve. 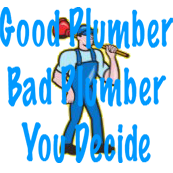 If you have read all the above about good plumber or bad plumber and would like to comment, then please use the twitter feed at www.twitter.com/plumber24hours. Opinions are important and we hope whoever reads this has learnt a valuable lesson. Thank you by Martin Smith, head of the emergency plumber group and network. Any further plumbing complaint will be added to this article.